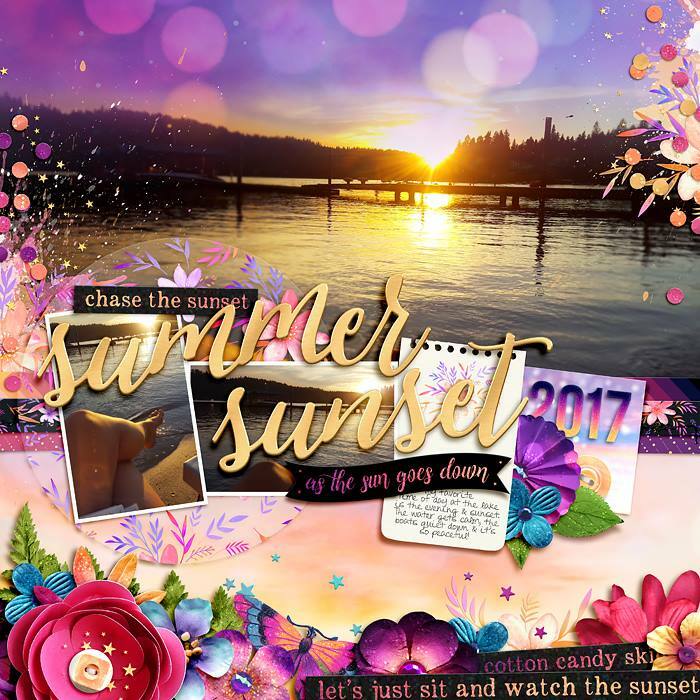 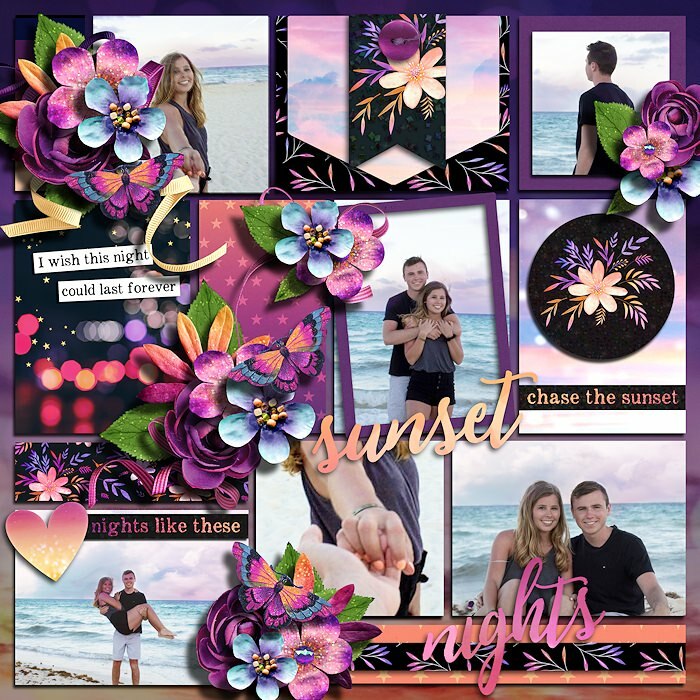 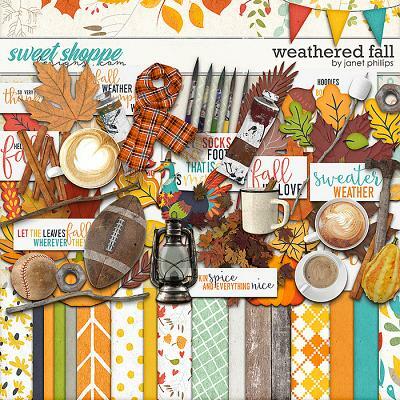 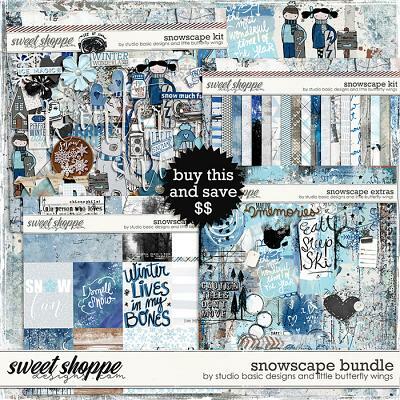 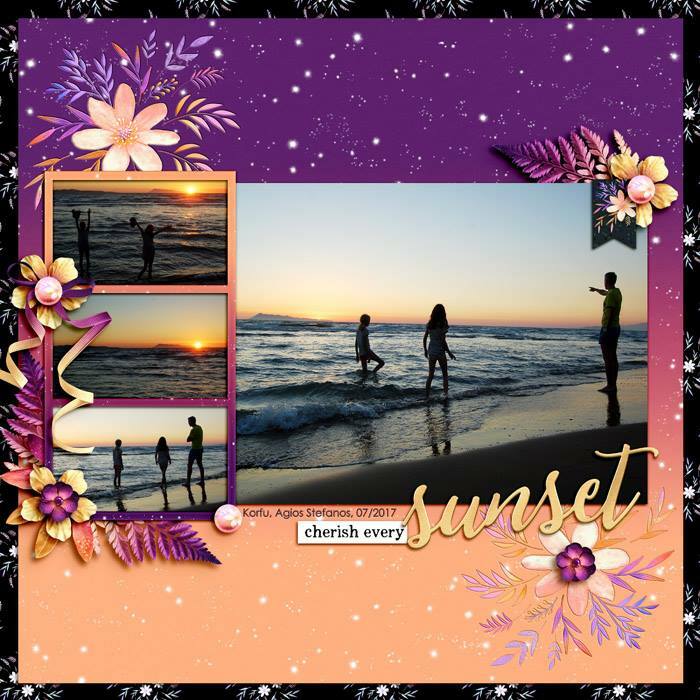 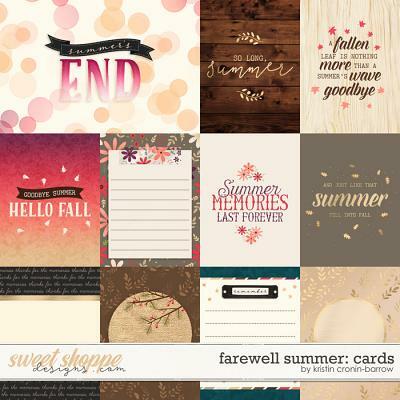 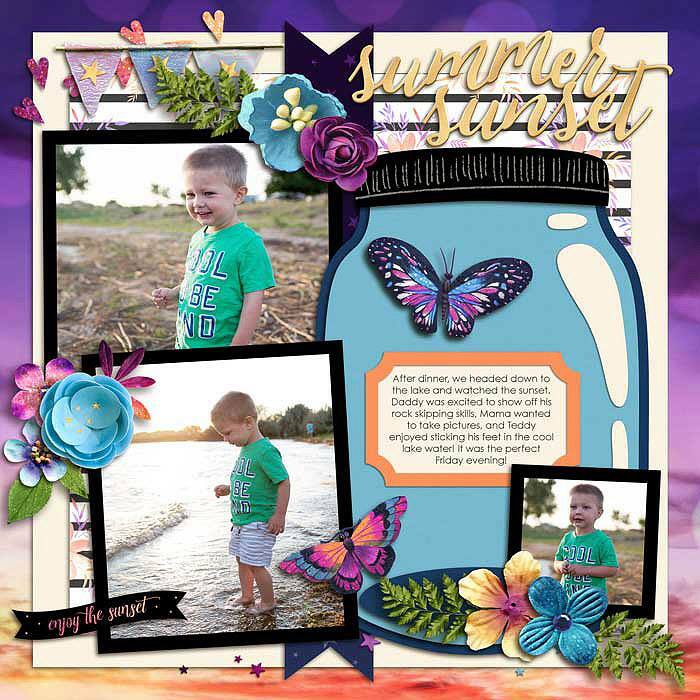 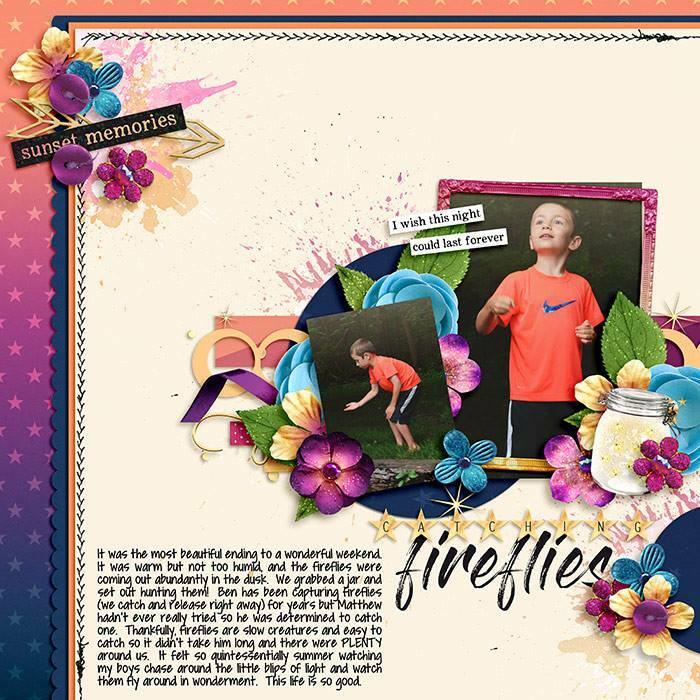 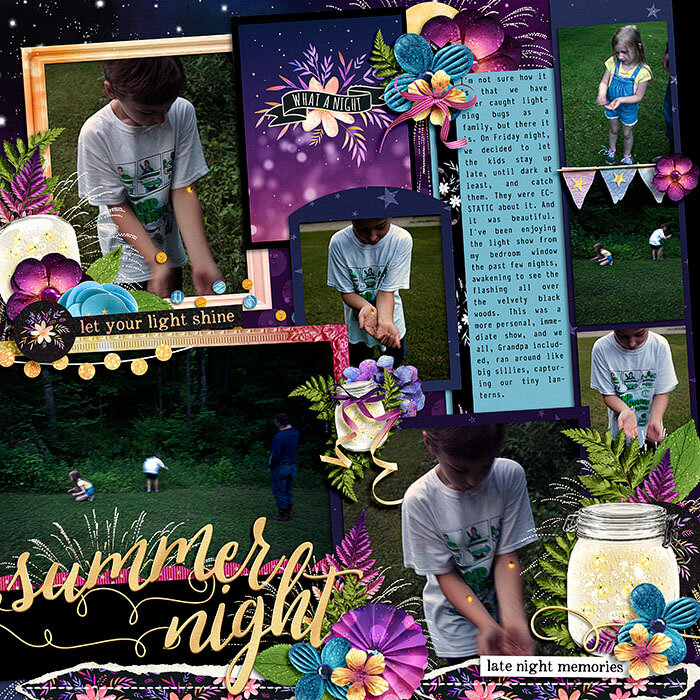 A digital scrapbook kit by Kristin Cronin-Barrow, As the Sun Goes Down. 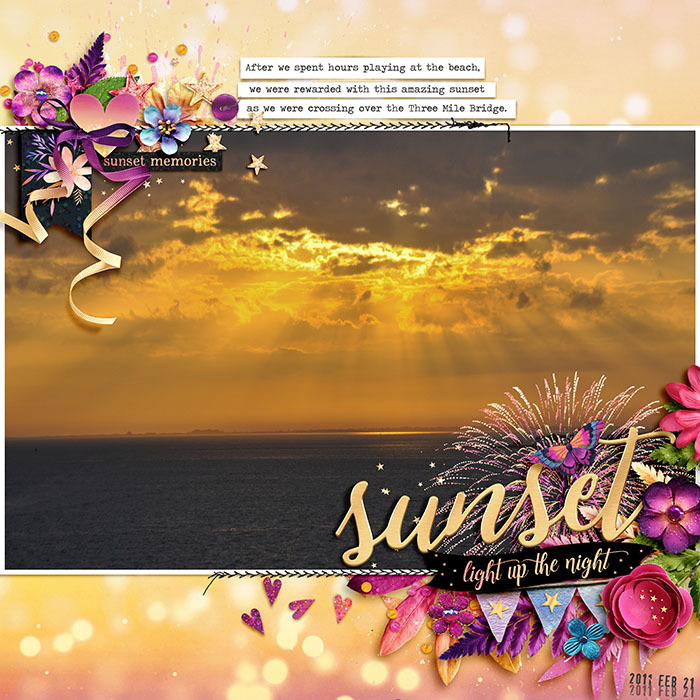 Is there a more magical time than when the sun goes down and the moon comes up? 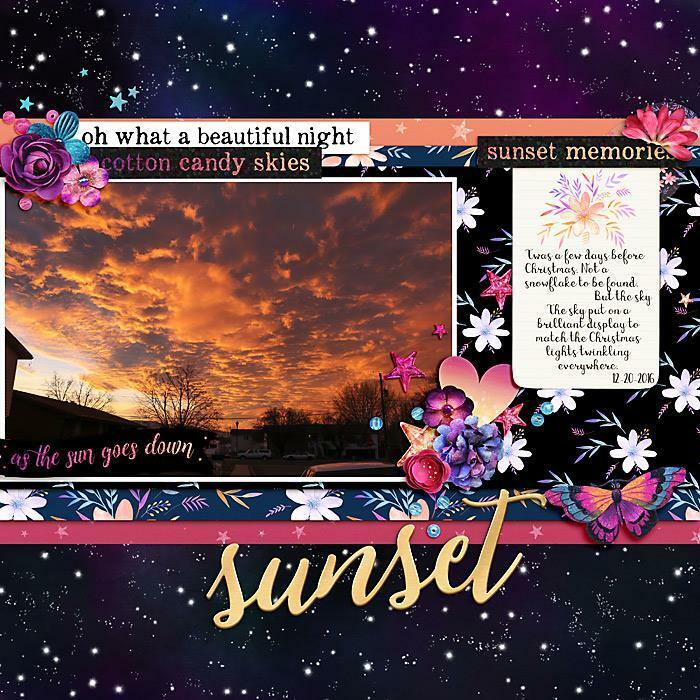 The colors in the sky are brilliant and the stars begin to twinkle. 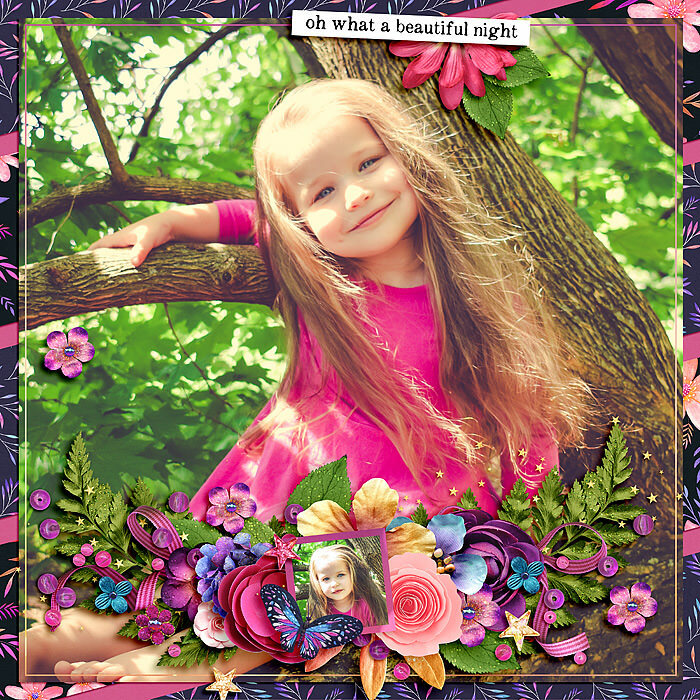 Take that perfect moment captured in this kit and us it to scrap your own perfect moments. 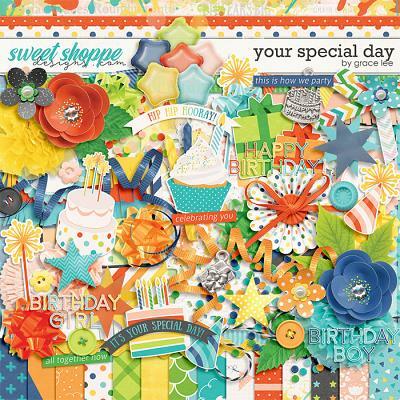 The papers are rich in color and texture with beautiful patterns. 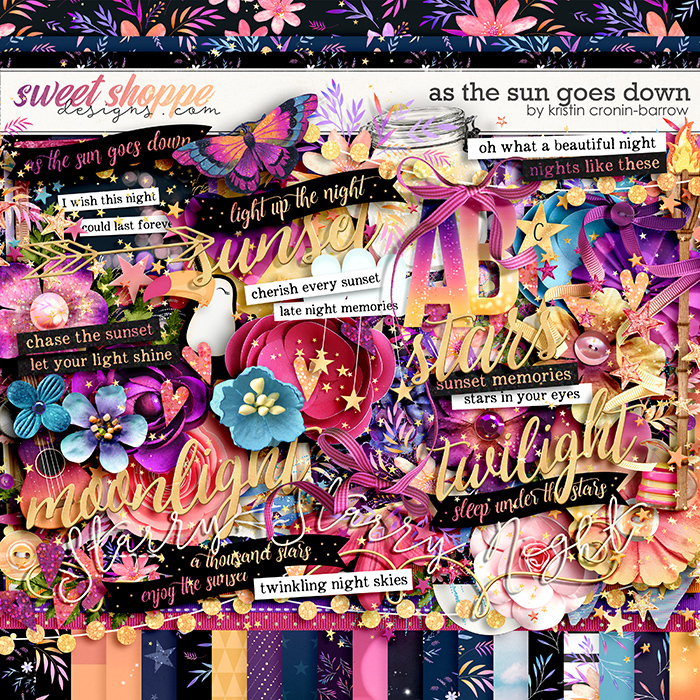 Elements include hearts, flowers, word strips, a pitcher of lemonade, a toucan, butterflies, a jar of fireflies, fireworks, alphas, and more. 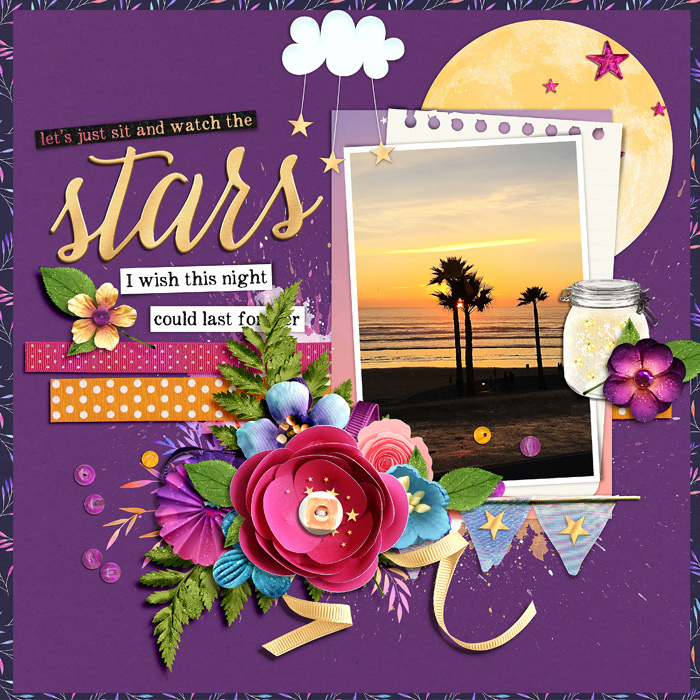 Light up the night--and your pages--when you scrap with this kit!